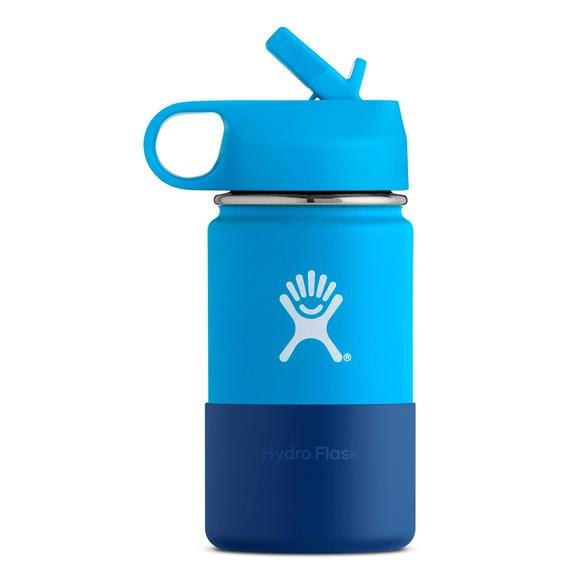 Just the right size for little hands, this Hydro Flask for kids is made with the same stainless steel and double wall vacuum insulation as Hydro Flask's bigger bottles. Every sip stays icy cold for up to 24 hours, so when recess or practice wraps up, the perfect refreshment is waiting on the sidelines. Just the right size for little hands, this Hydro Flask for kids is made with the same stainless steel and double wall vacuum insulation as Hydro Flask &apos;s bigger bottles. Every sip stays icy cold for up to 24 hours, so when recess or practice wraps up, the perfect refreshment is waiting on the sidelines. With a colorful, easy-to-clean Straw Lid and a durable Flex Boot this is the perfect companion for any adventure, big or small.